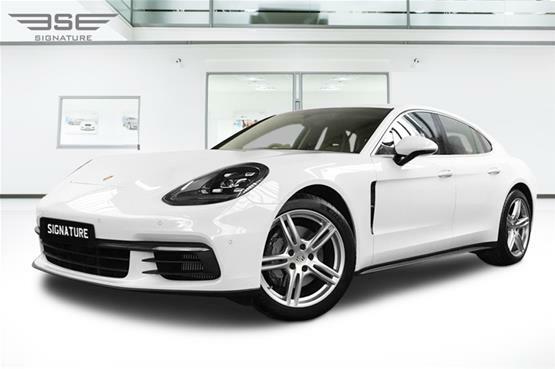 Our Porsche Panamera 4S rental car has everything the S model has with the addition of safety and road holding superiority of a four wheel drive. 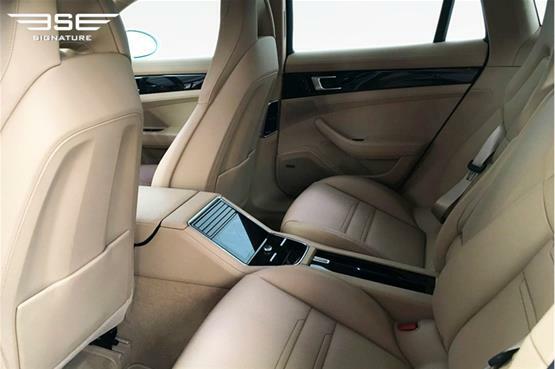 This hire car is truly special and is capable of carrying four people in subline luxury and at very rapid speeds if required. 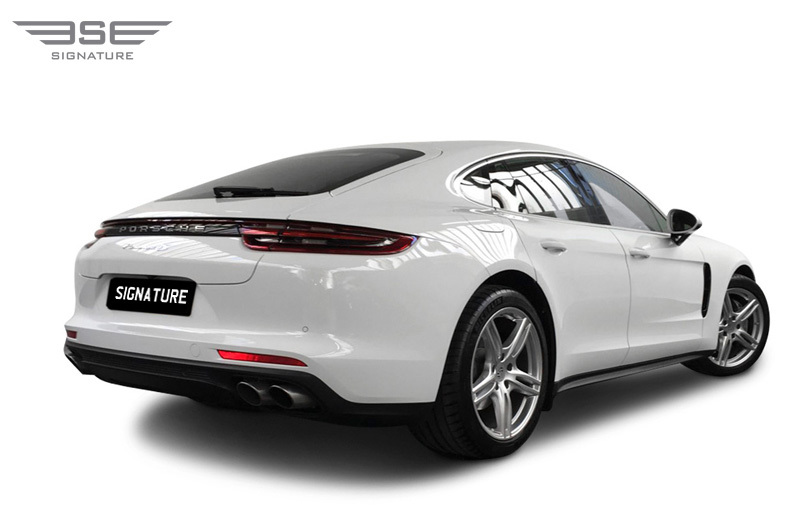 It makes for the perfect rental car for touring the UK in style. The second generation Panamera is one of the most capable sports saloons on the road today. 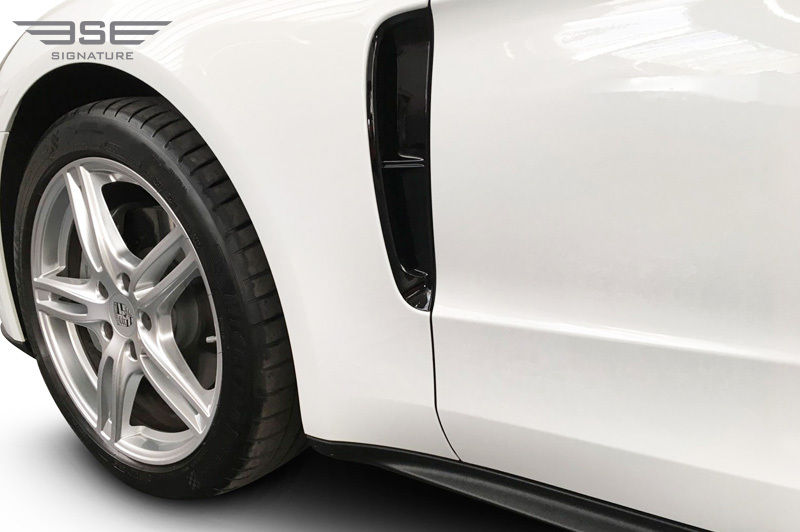 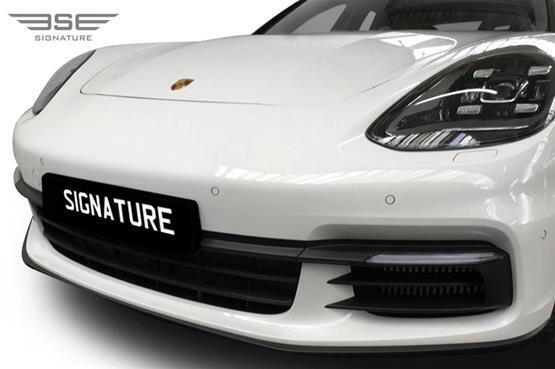 Many improvements have been made to the car with upgrades applied to design, technology and refinement. 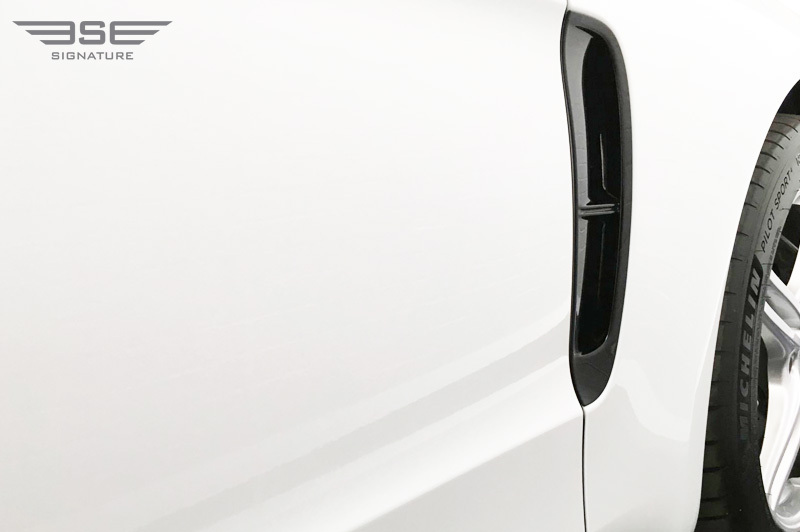 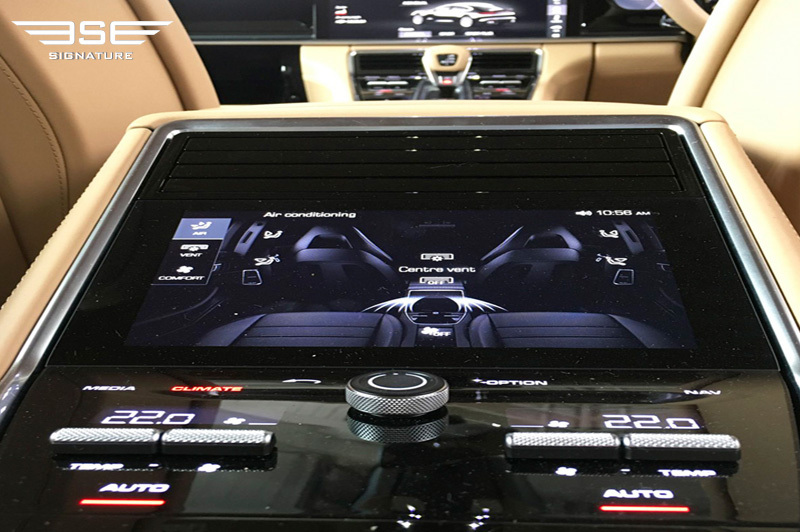 Step inside the car and you’ll immediately notice a centrally placed chevron with touch sensitive buttons which sit under a generous sized display screen. 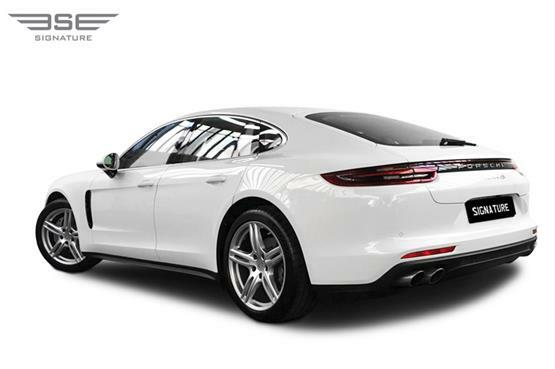 The overall design and execution is one of faultless prestige in every aspect. The car is also practical with a large hatch entered boot for luggage and there are additional storage areas if required for trips. The performance of this rental car is also pure Porsche excellence. 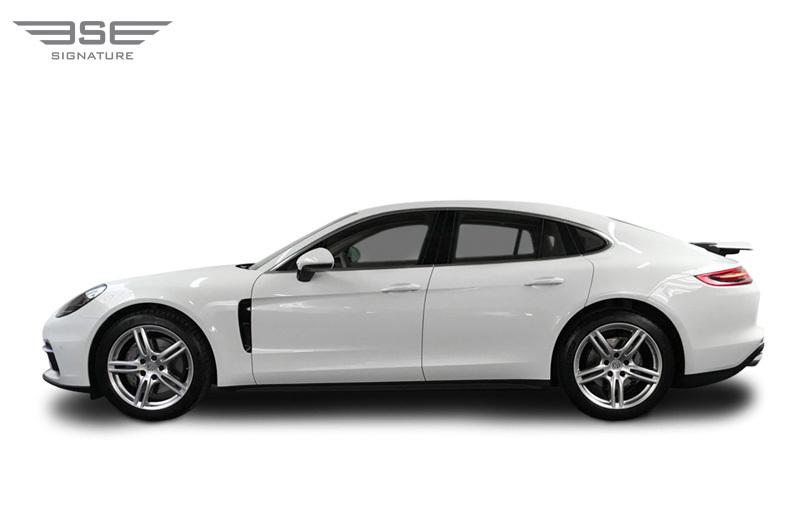 This 4S model drives like a much smaller more agile sports car. 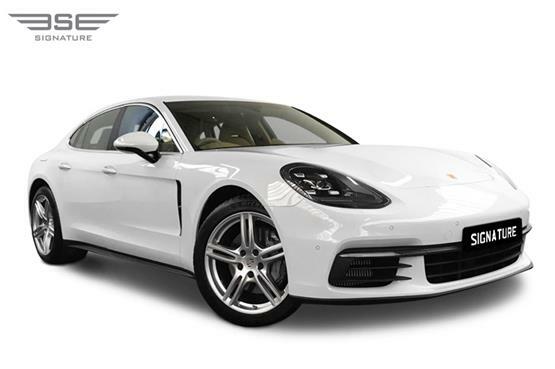 Our New Porsche Panamera 4S rental car has all the comfort features you’ll appreciate like Active air suspension including Porsches Active Suspension Management, 14-way power seats front with memory pack, BOSE Surround Sound System. 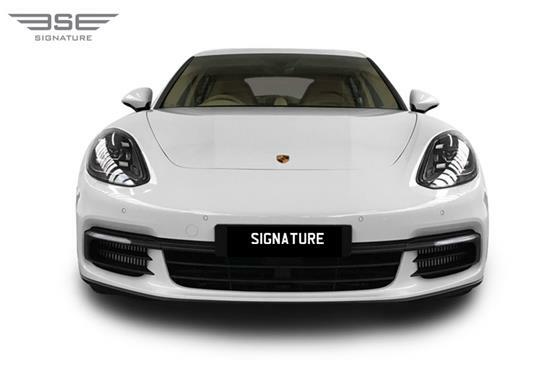 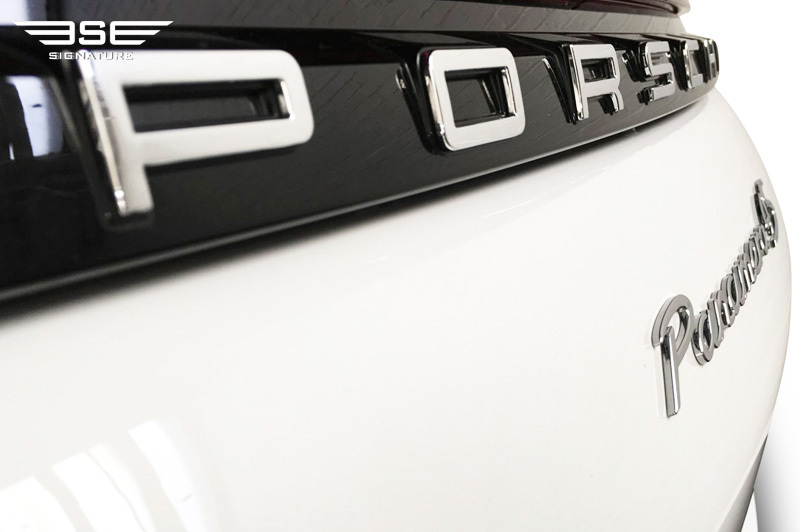 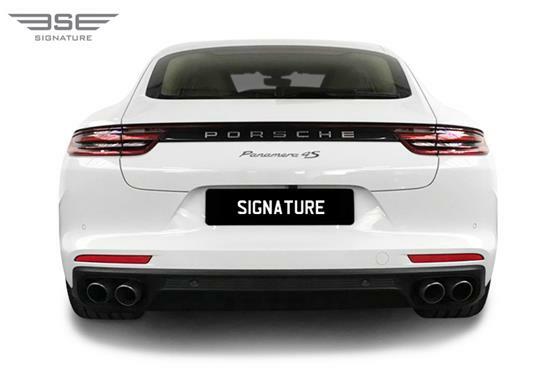 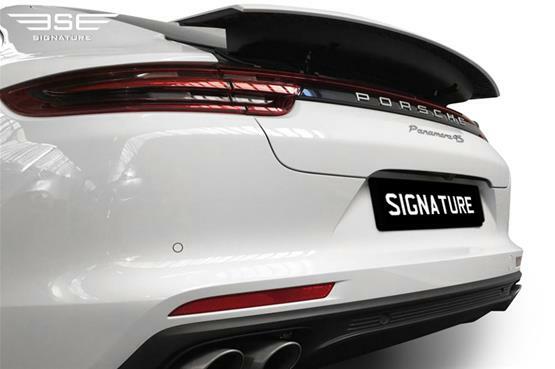 To experience our rental Porsche Panamera 4s simply call Signature Car Hire on 0207 118 2244 today. 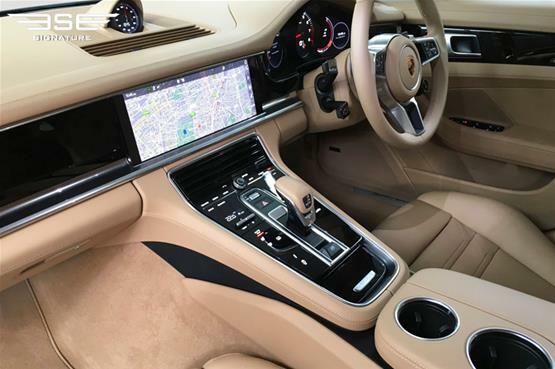 Designers and engineers have reduced the first-generation Panamera's jet cockpit style button filled center console to now feature simple touch-and-click surfaces. In fact the only buttons are toggle temperature adjustments and the volume control knob, the infotainment control knob, and the hand brake switch. 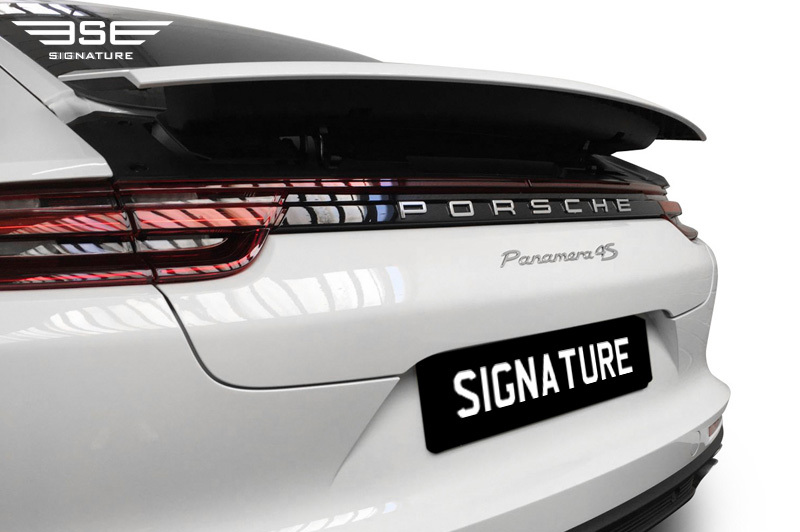 The rear spoiler is a three-piece active rear spoiler unique to the most powerful Panamera variants. It slides up and down at the touch of a button, or can be automatic, set according to the driver speed choice.